The HD re-release will support 4K resolution. Earlier today, Capcom announced their plans to release Okami HD on PlayStation 4, Xbox One, and PC this December. The news confirms previous rumors of an upcoming Okami re-release leaked last month. Both digital and physical versions of Okami HD will be available for $19.99 USD on December 12th. According to Capcom, Okami HD will support 4K graphics on the PS4 Pro and Xbox One X consoles as well as PC, and will offer options for 16:9 widescreen and original 4:3 aspect ratios. For an added bit of fan service, Capcom also mentioned that the HD re-release will feature the same loading screen mini-game where players can earn additional demon fangs for trading. Okami was originally released by Clover Studios back in 2006 for PS2, arriving later for the Wii and PS3. In Okami, players embody the Japanese sun goddess Amaterasu, a deity who takes on the form of a majestic white wolf in the game. 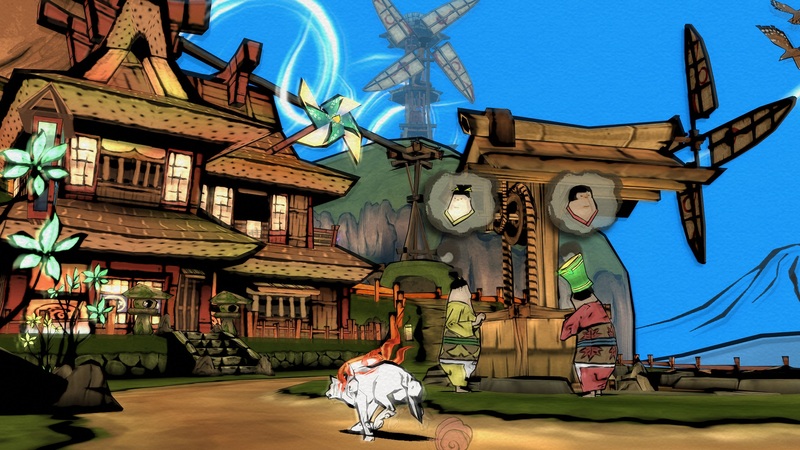 Okami’s visuals are inspired by the traditional Japanese sumi-e ink painting and calligraphy, making for a unique style of gameplay. While Capcom doesn’t seem to have any plans to release Okami HD on the Nintendo Switch, we feel it would actually be a really good fit for the console. Nevertheless, it will be nice to revisit the stylish world of Okami and have new generations of gamers experience the lovely aesthetics of this game through Okami HD.